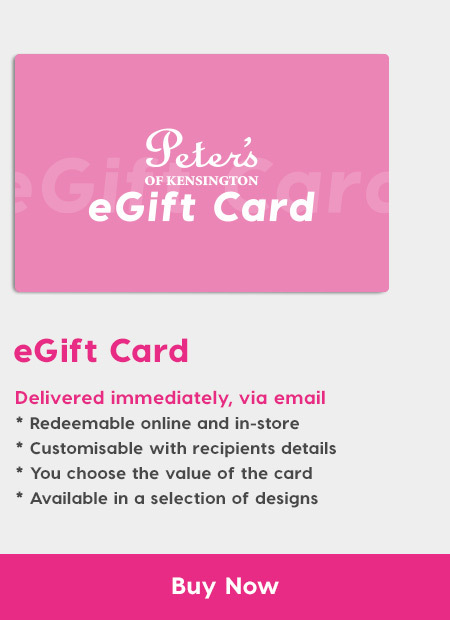 Take the guesswork out of gift-giving with a Peter’s of Kensington Gift Card. Our Gift Cards are always the perfect present, because they allow the recipient to choose their own gift from our enormous range. Even better news? They’re just as easy for you to purchase as they are for the recipient to redeem! We’ve got two kinds of gift cards for you to choose from. There’s our traditional Gift Card – a cute little card around the size of a credit card. You can pick one up from any of our stores located at Kensington, Barangaroo, Birkenhead Point or Alexandria. 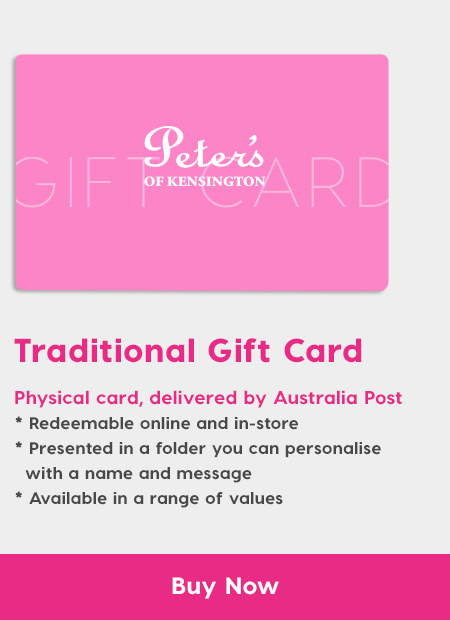 You can even get your hands on a Peter’s Gift Card online and have it delivered via Australia Post. Or, if you’re a little short on time, why not choose our eGift Card instead? Our eGift Cards are sent instantly via email. They’re perfect last-minute gifts and can be used online or in-store. If you’ve got any questions, or you’d like to order a Gift Card over the phone, just call us on (02) 9662 1099 and we’ll be more than happy to help.